The temporary shelter is closing today, but those behind the project say the fact that more than 1,000 men and 150 women took advantage of the 80-bed facility shows there is a need for it. The old Royal Victoria Hospital is where Montreal's homeless men and women turned to this winter, when other shelters were full, and when no one else wanted to house them and their pets. 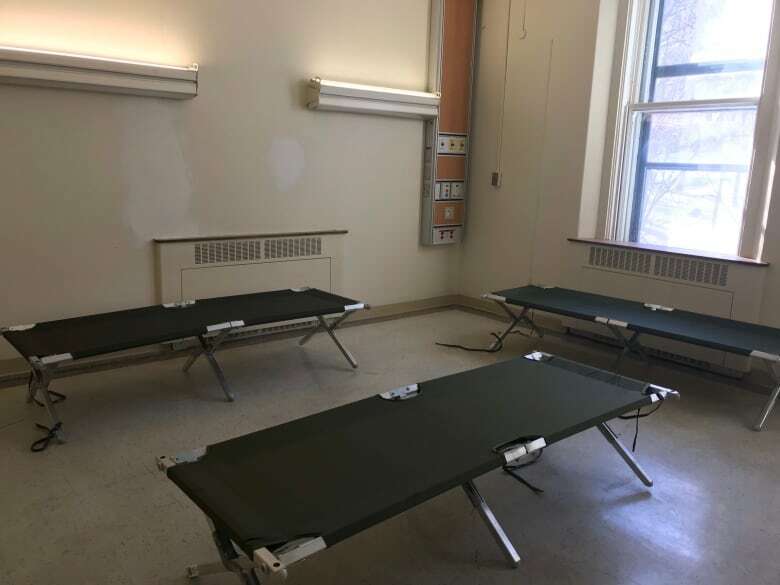 The shelter is closing today, but those behind the project say the fact that more than 1,000 men and 150 women took advantage of the 80-bed facility shows it fills a need. Talks of restarting the project next year are already in discussion as it relieved city shelters that are overwhelmed every winter, said Matthew Pearce, CEO of the Old Brewery Mission. "I would describe it as something that It was a success and it should be repeated next year," he said. 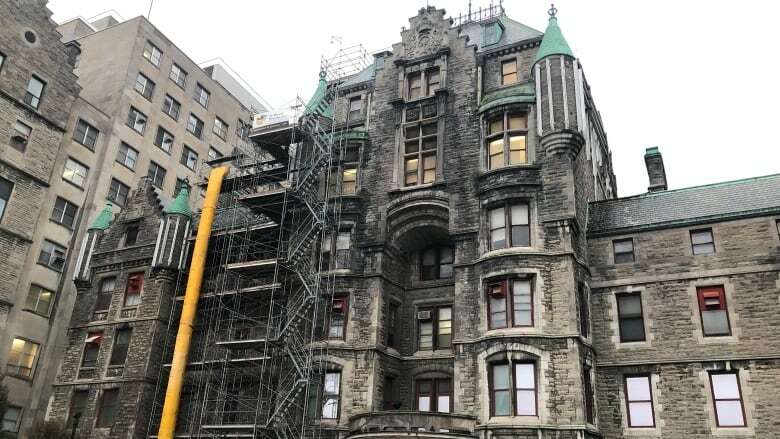 "We're already in discussions with the Quebec government and the city with a view to continue the partnership that was created this year and that was so successful." With bitter cold moving into the region a bit earlier than usual, leaders of several Montreal homeless shelters saw their facilities were filling up fast and they needed help. On Jan. 15, the old Royal Victoria hospital opened to those in need. The city and provincial governments together contributed nearly $230,000. A shuttle was set up to ensure everybody had a ride to the facility, located on the third floor of the 103-year-old greystone Ross Pavilion. At the time, Sam Watts, CEO of the Welcome Hall Mission, said everyone worked together to turn the old Royal Victoria Hospital into a shelter in record time. "It's an experiment, but we think it's one that is going to work because we're working with all our partners," he predicted as he spoke of the collaboration between the Welcome Hall Mission, Maison du Père, the Accueil Bonneau and the Old Brewery Mission. The local CIUSSS, the SPCA, the Red Cross and others were also involved. The Old Brewery Mission says its research department is currently conducting a comprehensive study of the shelter. The full results of that study will be revealed this summer. Already, Pearce said it's clear other shelters in the city weren't as overwhelmed as usual. Another issue the shelter's management was watching out for was safety in the context of a coed environment. Pearce says security was in place and that women reported feeling safe there. "Women weren't reluctant to use it and, when they arrived there, they found they were in a very secure environment," Pearce said. "So we're happy that was the case." There weren't nearly as many people with pets as expected. That may show homeless people unable to find a safe place to stay with their pets may not be as big of a concern as expected, Pearce said. 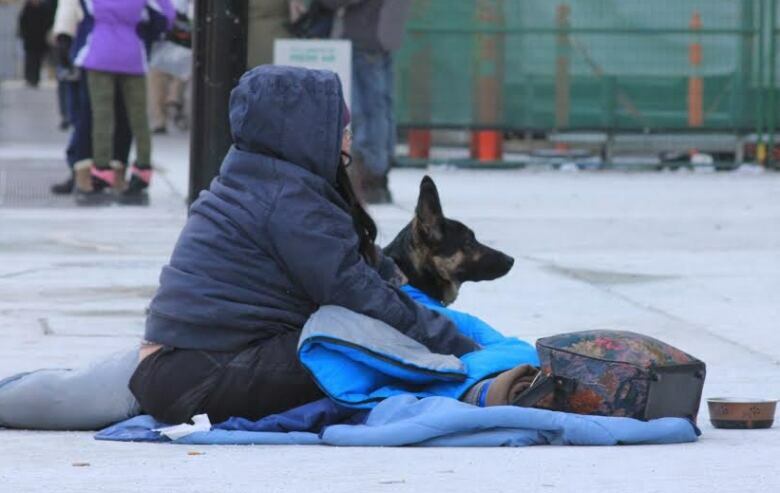 But emergency, overnight relief isn't and shouldn't be the objective of Montreal's large homeless shelters, he added. "Our main focus and our driving force is to get homeless people back into homes back into society," he said. "We still need to have emergency responses, but we hope that, over time, such overflow shelters will cease to become necessary because we're managing the population better and we're reducing homelessness."